A preliminary appointment aimed at diagnosing the problem and agreeing further treatment. A consultation lasts 50 minutes. A short- or long-term process conditioned on your situation and physical condition, on the decision that you need continuous support or if it turns out that making changes to your life requires more time. Meetings are held on weekly basis. One session lasts 50 minutes. 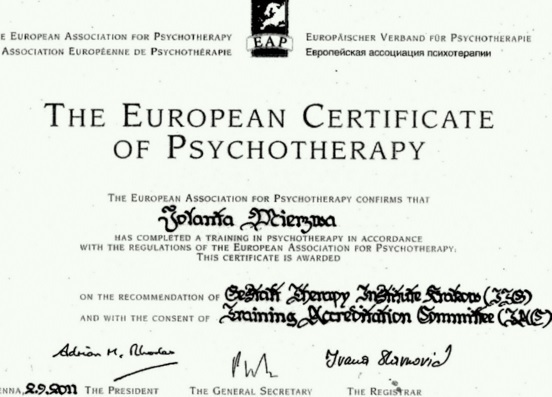 A meeting of both of you, as a couple, with me – the psychotherapist. It is dedicated to couples who are experiencing problems with their relationship, communication, being together. A session lasts 90 minutes and takes place once a week. Have some other problem and do not want to face it alone. 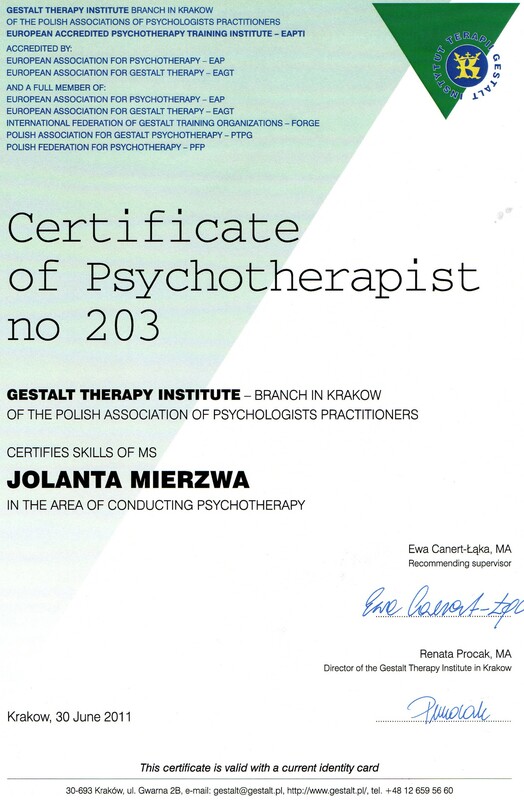 I offer psychotherapy sessions in Polish, Italian and English. on a regular basis and pay attention to the quality and effectiveness of my contact with Clients. Details on how to get to my office can be found in the “Contact” section. I encourage you to browse through the Gallery where you can find pictures of the building where my office and the room where sessions are held are located.